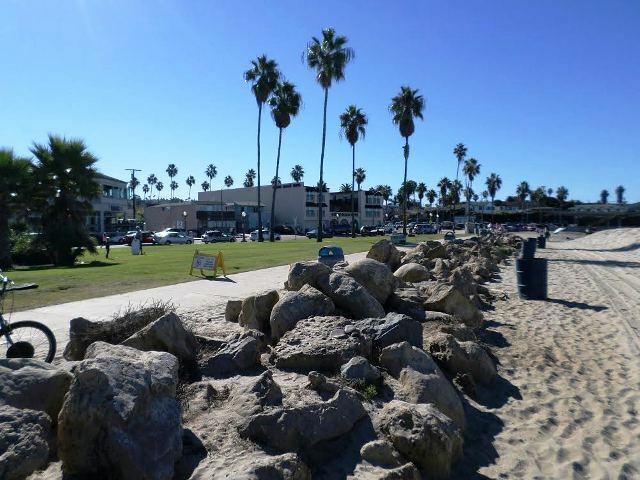 Blogger Rant: What Can Ocean Beach Park – a “Dedicated Park” – Be Used for? Surf-Camps? Surveillance Cameras? When I was a child, my father told me about the National Parks; National Geographic was the source of our knowledge. He told me that I could see the Grand Canyon some day because the parks belonged to the people, they were free, and they were protected by the law. Somewhere imprinted in the family gene pool is the idea that parks are to be enjoyed (sometimes as nature, but with conveniences, like bathrooms) by all the people. Ocean Beach Park is also a dedicated park, legally protected with a unique and special protection under city Charter Section 55. 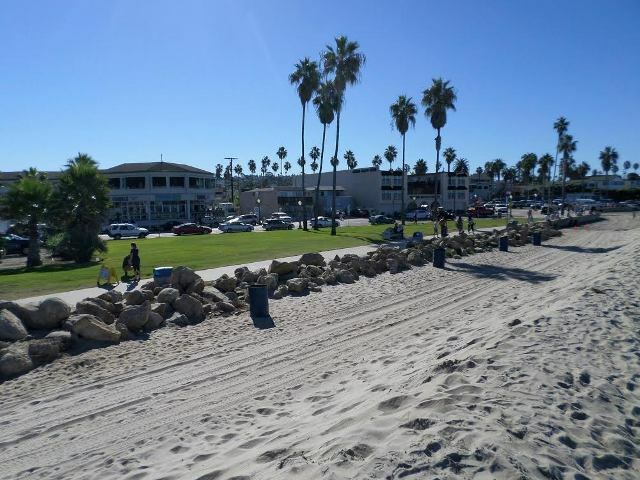 Although sometimes one of the grassy portions is called Saratoga Park, the entire area is named “Ocean Beach Park” according to the San Diego City Council Resolution. Our dedicated parks are protected by the City Charter, along with cemeteries. They must be used for the intended purpose. This is why you don’t see much new dedicated parkland. When a park is dedicated, it requires a City Council vote. In contrast, “designated” parks are city property which the city chooses to use as parkland for the moment. They can also decide to build a hotel or a library there tomorrow. Designated parks have no official protection status. It is part of the City of San Diego’s permit process to determine the legality of the proposed use. “All the public” (the term used many times in the legal transfer document) has the right to follow this process. Are surveillance cameras a recreational purpose? Did anyone check with the state? Are pay-to-play Surf Camps in the water and therefore outside the bounds? Is a Veteran’s Plaza a recreational use? Let’s ask a different question –how does Ocean Beach State Park sound? 1. “Ocean Beach State Park Agreement and Grant in Trust” No. 192589. 21 October 1964. 2. “Council of the City of San Diego Resolution 181763.” 15 October 1984. Down with the cameras! Tell the surf camps to go elsewhere! Make it a California State Park. Let’s pay for parking! (most beach State Parks in San Diego have paid parking) That income will help offset the loss of the fee paid by the surf camp… and NOW IT IS OPEN TO EVERYONE!!!!! I can see it now–shirts with “Ocean Beach Park Ranger Patrol” patches. I would even claim that since the City knows or should have known that a video camera is an infringement on our personal liberties; and as we cannot in good consciousness have our liberties violated, we would have to refrain from appearing in the camera view finders; the presence of even a single camera would thus be as solid any concrete barrier, preventing us from enjoying this park dedicated to our recreational enjoyment–and so the city would owe we people of Ocean Beach a portion of their tax income in damages for every second we are unable to recreationally enjoy our constitutionally protected park. Yep, that there war memorial the righties are tryin’ ta build, well, looks like it’s in violation. Better to put those plans somewhere else–like the wastebasket. Paid parking and cameras. I don’t intend on doing anything that I wouldn’t want the world to see. Film me! Watch me! Check me out!